Hello. Is there any interest in a sealed copy of this pressing? Is this the original Bowie mix or the newer Iggy mix? Why does it state "remastered"? Who remastered it in the 80's? This is the version you want. Original Bowie mix, replicated original packaging and labels, and high quality pressing. I picked up a copy of this today except it is translucent red vinyl. Still has the sunburst label and the CBS boxed logo. Any info on this version? Contains the 1997 Iggy Mix. Sounds considerably better than the CD, too. Not quite like the RSD remaster from 2012, but still much less distorted. Anyone have any idea how I could get my hands on the alternate 1973 mix of Search and Destroy? Apparently it was just on the UK first pressing and a couple more releases. 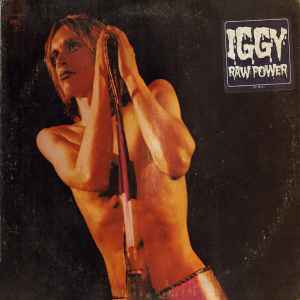 This Italian original pressing is the best pressing of Raw Power. Are all Italian pressings of the era this great ?? ?